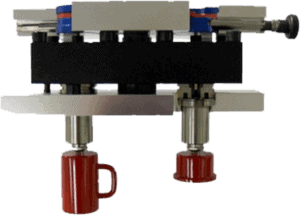 Osco’s Manual Mold Flow Control System allows balancing and adjusting resin flow from press side. A removable adjustment drives a worm gear for a perfect valve opening inside each individual nozzle. Just fantastic! Infinite adjustability from fully opened to closed.